The Friends of Poplar Hill Mansion, Inc. is a non-profit corporation dedicated to the fostering and perpetuation of the Federal Period heritage and history of Poplar Hill Mansion, a public property located in Salisbury, Maryland, listed on the National Register of Historic Places and owned by the City of Salisbury. The Friends of Poplar Hill Mansion Board of Directors oversee fundraising efforts, collaborate with the Curator on operation of the facility as a museum, and advise the Mayor and City on matters pertaining to the Mansion. The Board meets the third Wednesday of every month (except July) at 12:00 p.m. at Poplar Hill Mansion. In 1795, Major Levin Handy took out a deed for 357 acres of the original 700 acre land patent called “Pembertons Good Will.” The house Handy began in 1795-96 was an ambitious Federal-style structure, outdistancing most buildings in the area in size and fine detail. When Handy died, the unfinished house was eventually sold to Dr. John Huston, Salisbury’s first surgeon, who moved in with his family and completed the home by 1805. Dr. Huston lived in the house until his death in 1828. It is the Huston Period of the home, interpreted today. The house did not acquire the nickname of Poplar Hill Mansion until the mid-1800s when the neighborhood of Newtown was constructed. The original drive of the house was lined with Lombardy Poplar trees and residents referred to the property as the Farm on Poplar Hill. After the farmland was all but gone, the house remained as one of the largest in the neighborhood and the name Poplar Hill Mansion was soon used to describe the house. 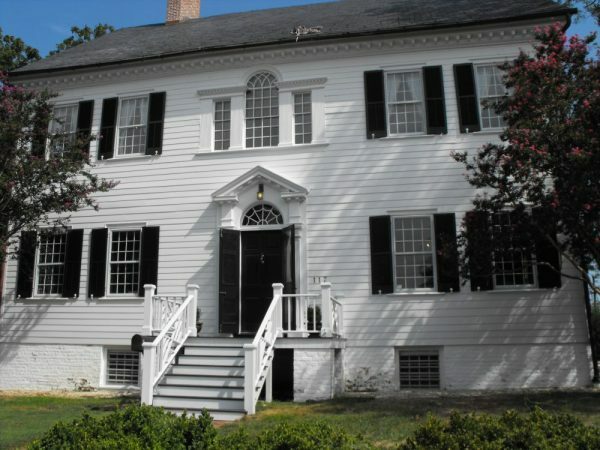 In 1974, the City of Salisbury acquired the house and turned it into an historic house museum. The following year, the Friends of Poplar Hill Mansion was established to support the museum. Today, the Friends and the City enjoy a great working relationship between a public and private entity to care for and maintain the house and its history.